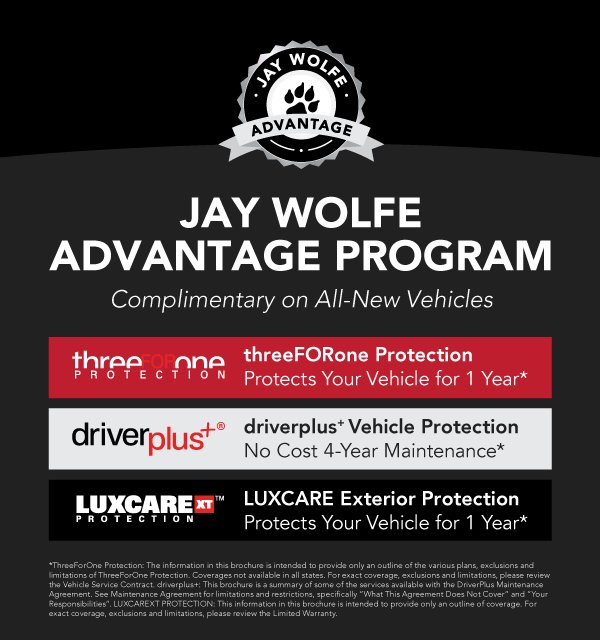 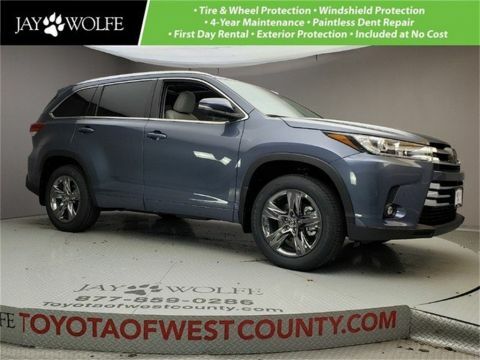 Panoramic Roof | Heated and Ventilated Leather | Power Liftgate | Navigation | **Get the JAY WOLFE ADVANTAGE PROGRAM Complimentary and Exclusively at Jay Wolfe Toyota of West County! 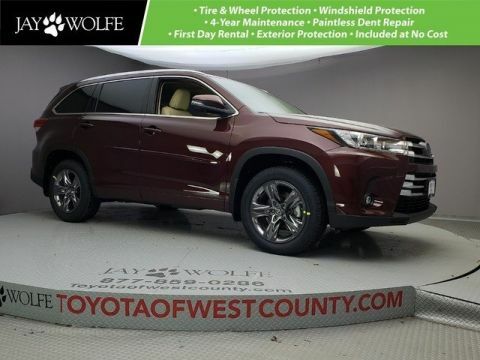 ThreeFOROne Protection (1 Year Tire and Wheel, Windshield, Paintless Dent Repair), DriverPlus+ NO COST 4-YEAR MAINTENANCE at Toyota of West County on All New Vehicles, and LUXCARE XT Protection (1 Year Exterior Painted Surfaces, Headlight and Taillight lenses and Alloy Wheels)**Check out our 2019 Toyota Highlander Limited Platinum AWD presented in Celestial Silver Metallic it's everything you're looking for! 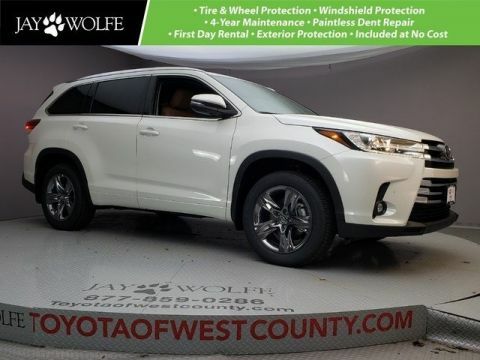 Our SUV Is powered by a proven 3.5 Liter V6 that produces 295hp while connected to an innovative 8 Speed Automatic transmission at your command while scoring near 27mpg. 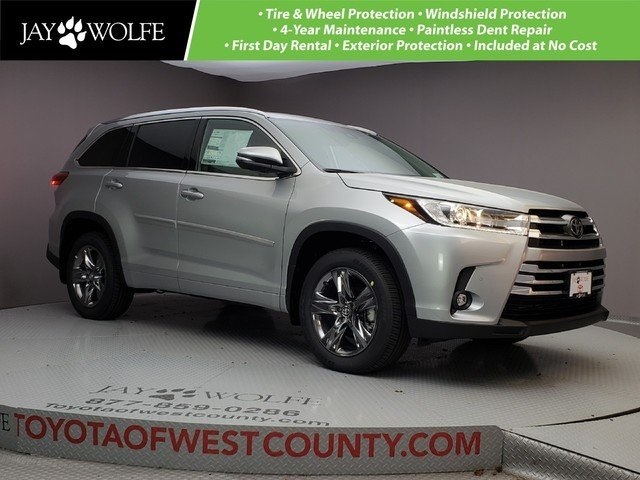 You'll love being seen in our All Wheel Drive Limited Platinum with its projector beam halogen head lights and color keyed-heated power outside mirrors, Chromtec alloy wheels, and prominent sunroof.